Buy High Performance F1 Surface Finish ESP Armor , from for $330.00 only in Pure Performance Motorsport. This highly guarded secret by Aerospace, Formula 1,Nascar component manufacturers is out and now available here at PPM Racing! This highly guarded secret by Aerospace, Formula 1,Nascarcomponent manufacturers is out and now available here at PPM Racing! Competitive racing parts are subject to very high loads, even shock loading, which means particular care must be taken over the final condition of a components surface. In the competitive racing industry, where striving for ultimate performance is an everyday matter, surface stress and surface finishing must be looked at in every situation and improvements can result in an increase in the endurance limit of 30% with life extensions of 30 times! The PPM RACING surface finishing process is able to take race components and achieve a chrome-like, smooth surface finish without a tolerance change. PPM RACING Surface finish process creates a soft film on the surface of the part whereby non-abrasive media wipes the surface clean to re-expose the surface to the chemistry again. This continual process of re-exposing the part surface improves and refines the surface without a lot of metal removal. 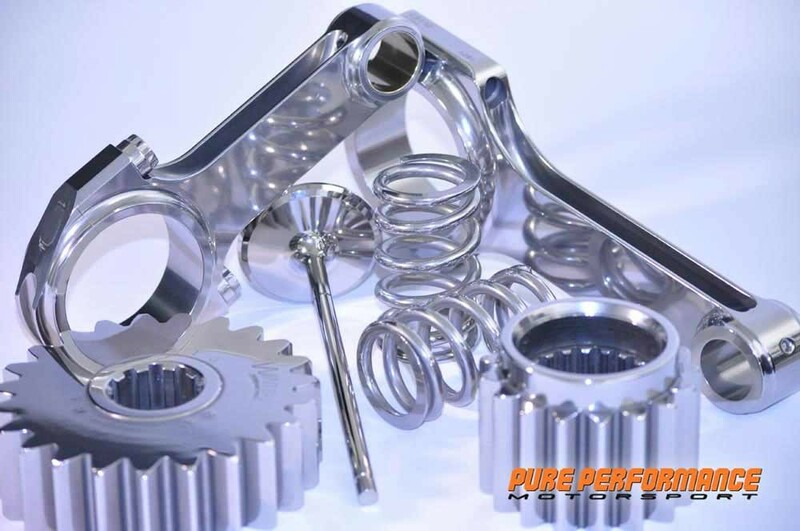 The PPM RACING Surface finishing process is able to take race components and achieve a chrome-like, smooth surface finish without a tolerance change!! This special surface treatment is available here at PPM Racing for an extra cost, we can do this treatment to any above listed components.. Please contact us should you have any further questions.